Listening to Metallica's Garage Days Inc, I found myself wondering what all the original versions of their covers sounded like. 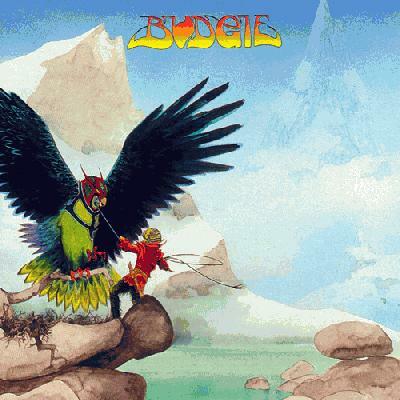 In my quest, I have come upon the band Budgie, which originally made Breadfan and Crash Course in Brain Surgery. This particular album, released in 1973, seems to be Budgie's most recognized album. It's got Breadfan on it, after all! Which leads me into talking about the first track, Breadfan. A soft, short ballad-like track. Awesome melodies and singing. The lyrics are deep and reflective. Would be a 5, but it's a bit strange and cheesy in moments, so i give it a 4.5/5.
" The singer's voice is a bit weird and unusual. It sounds like a lady, though its a guy....but it is unique i suppose. I'm so glad i discover Budgie. One of the most underated bands indeed. NTYBOAF is an essential album for every fan of British Hard/Heavy Rock music.